Below is a simple (we hope!) 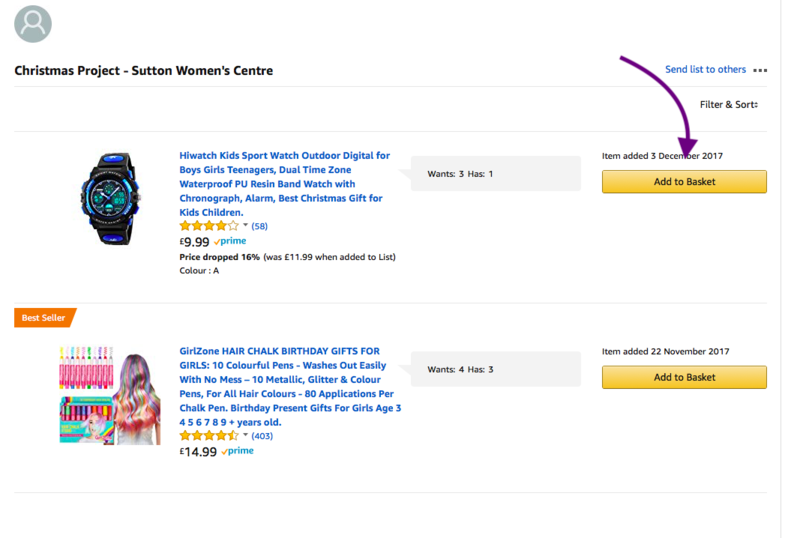 step by step guide on how to buy a gift from an Amazon wishlist. When you buy from one of our wishlists, the gifts are sent directly to the person we are helping, but their address is kept private. (NB: This guide assumes you already have an Amazon account. If you don't, you will need to set up an account with Amazon, which you can do here). 3. You will now be in the checkout screen, which asks you where you want the gift delivered to. Please choose the 'Gift Registry Address' and then click on the 'Use this address' button. Step 4. You now have the option of adding a note for the person you are sending the gift to - it will be printed on the packing slip free of charge. 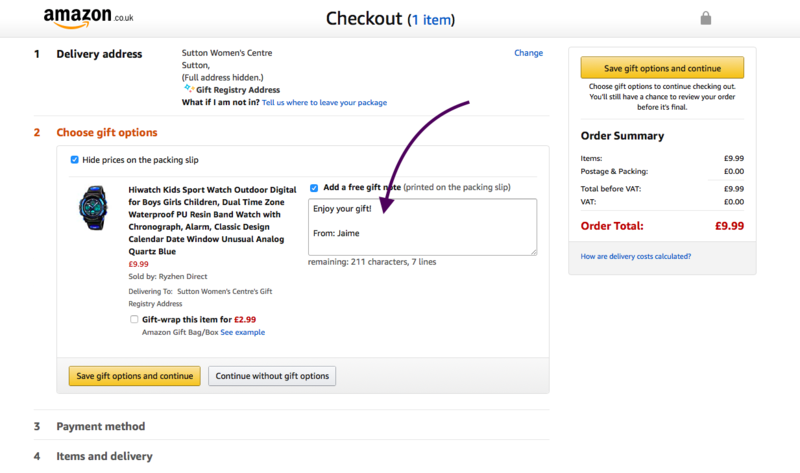 You can also choose for the item to be gift wrapped (but Amazon charge an additional cost for gift wrapping) . After you have chosen your gift options, click 'Save gift options and continue'. 5. 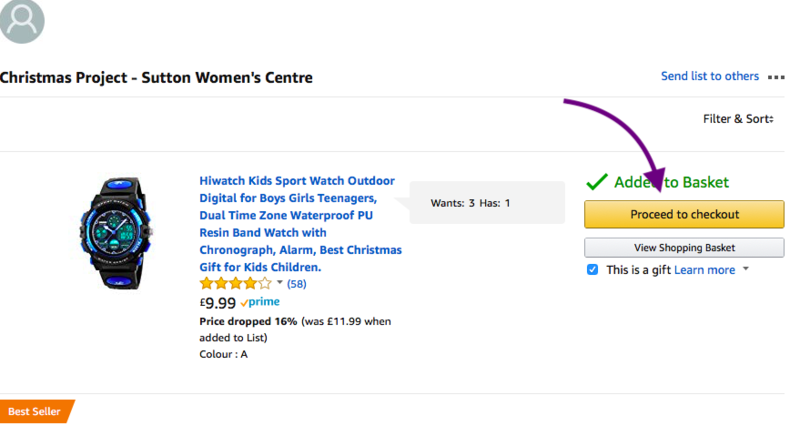 Now just choose your payment method and finish checking out, as you would with any other Amazon purchase! Thank you so much for wanting to help! If you have any issues with your Amazon account, please contact Amazon directly. If you have any queries about one of our wishlists, or if you think there's anything missing from this guide, please let us know!